Miamians live a fabulous life. We pop bottles in South Beach, dine at incredible restaurants and go to the beach any time we want. We also do things like steal fruit from our neighbors, lie to our bosses to avoid traffic and, when given the choice, would rather drink $1 coffee from a tiny window than get it from a snobby barista. Oh, and we’ll never be on time for anything—ever—and we’re not ashamed to admit it. 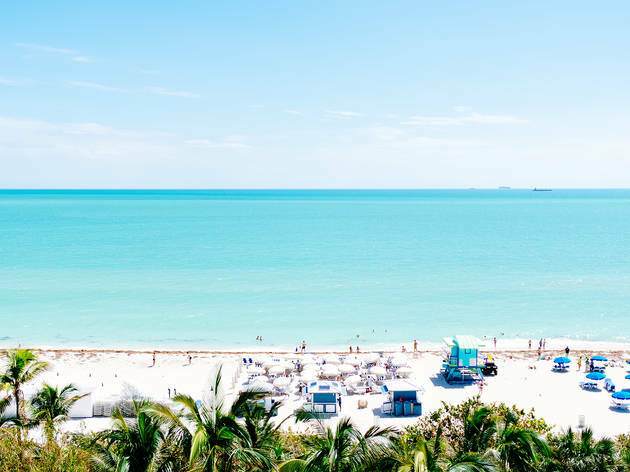 Here are more of our guiltiest pleasures of living in Miami. Tell us yours in the comments (if you dare). 10. Having a boss that expects you to be late—Cuban time is real! That's all true. I would add the helicopter advertising and a lot of real estate agents.